Steps to delete a Queue? You can delete a Queue at the click of a button. Go to Queues and then to the Queue that you'd like to delete (in the left column). Click on Delete Queue in the top-right corner. 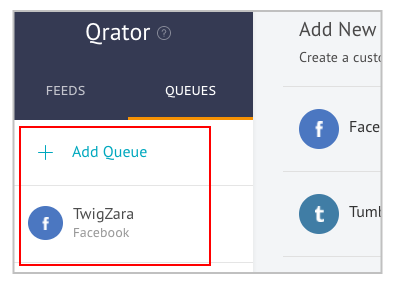 How can I add a Queue? How can I add post to my Queues?